With it’s blue and turquoise sea, white beaches and green vegetation, Maldives is a photographer’s dream. And under the water surface is it even better! Salt water and electronics do not fit together. The cheapest method to keep a camera or smartphone dry is to use a plastic bag specially designed for this use. This combination is adequate for taking selfies and pictures of family and friends playing in the water. To take good pictures underwater, you will need a waterproof camera. 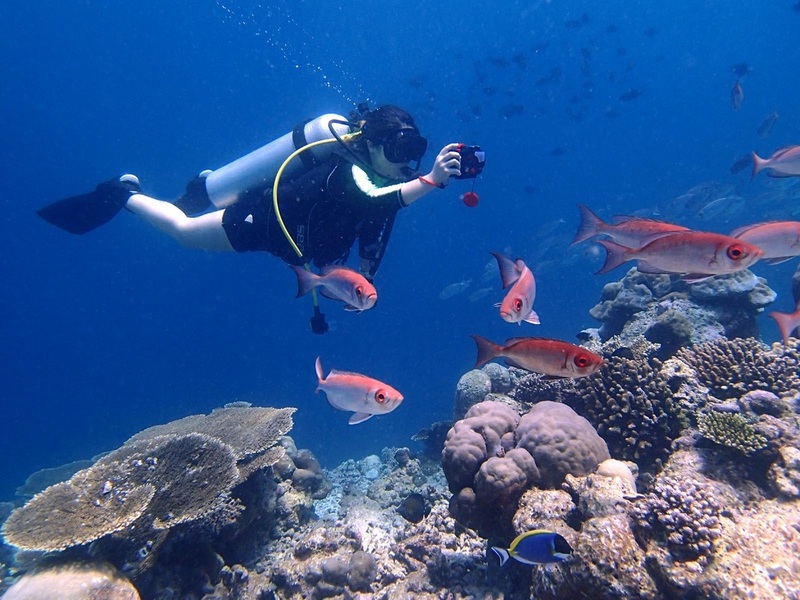 Such cameras are waterproof to depths of 5 to 15 meters, which works perfect for snorkeling and skin-diving. But bear in mind that the cameras are not intended for continuous use at that depth. Scuba divers should seriously consider buying an underwater house for the camera. The benefits are that the house is waterproof well beyond 30 meters, which is the limit for recreational diving, and that there’s only one gasket to worry about. The gasket is a rubber band which is easy to clean and lubricate with silicone grease. Another benefit is that the house has large buttons which make it easier to operate the camera, even with gloves. You may also attach strobe lights to the house. Underwater photography also poses some challenges, such as loss of color and light with depth, and the nature of the fish and animals you want to photograph.